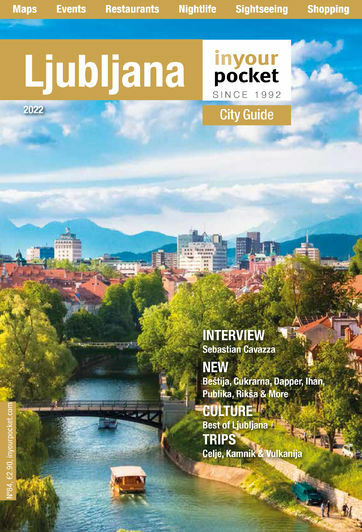 There is no shortage of city tours around Ljubljana these days, so any new offering really need to take its creativity to a whole other level, and the newest tour from Visit Ljubljana does just that. You read the name correctly, as far as we know, this is indeed the world's first 'moustache tour'. What is a moustache tour you ask? It's an unusual stroll around town, following the footsteps of three larger than life and notably eccentric Ljubljana personalities, who all left their indelible marks on the city, and who all (coincidentally?) also had glorious moustaches: the architect Jože Plečnik, the bohemian writer Ivan Cankar and the charismatic painter Rihard Jakopič. These truly unique tours, following the creative trails of these moustachioed men, take place every Friday at 15:00, departing from the Slovene Tourist Information Centre on Krekov Trg. Advanced booking recommended. Tours depart daily at 17:00 from Apr-Sept.